This is a magnificent festive attraction. 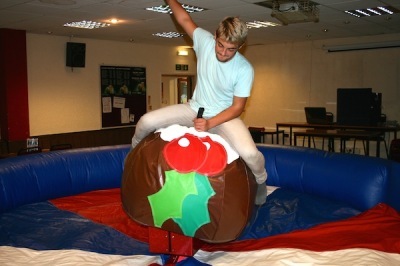 It is absolutely ideal for any Christmas party or event. 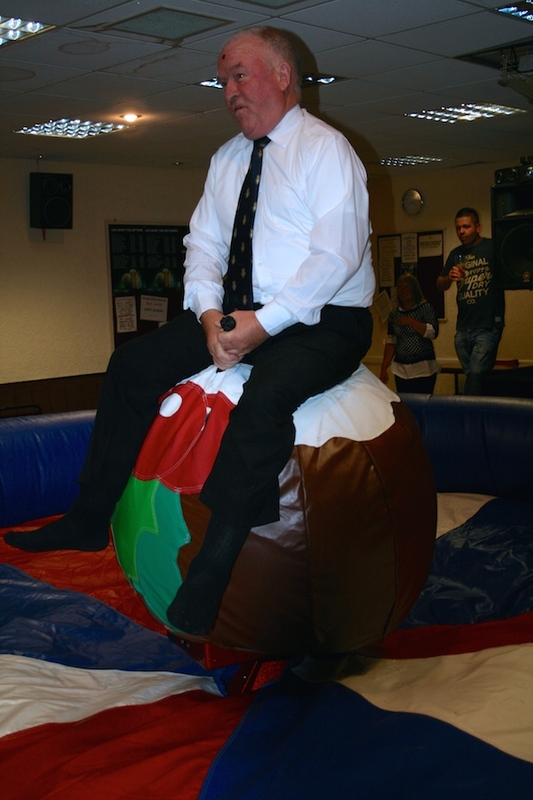 The latest thing in Rodeo Rides which is great fun for both riders and spectators alike. 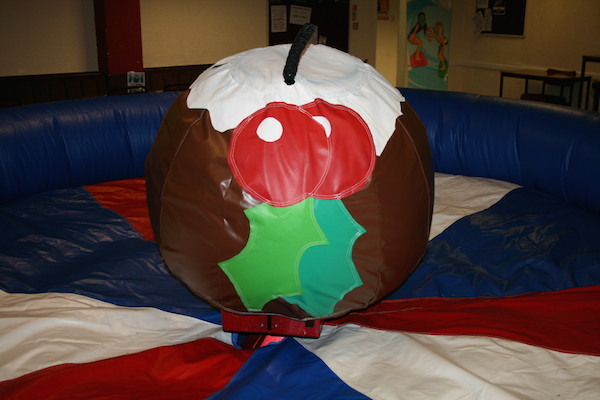 Our Rodeo Christmas Pud is set up and operated by trained staff (in Christmas attire) who control the pudding for the duration of the hire. It can be controlled manually giving a younger person the opportunity of a longer ride. For adults it has a state of the art auto ride program with a large LED timer display so all the riders can see how they’ve done. We always run a competition and include prizes for the longest rides of the event. 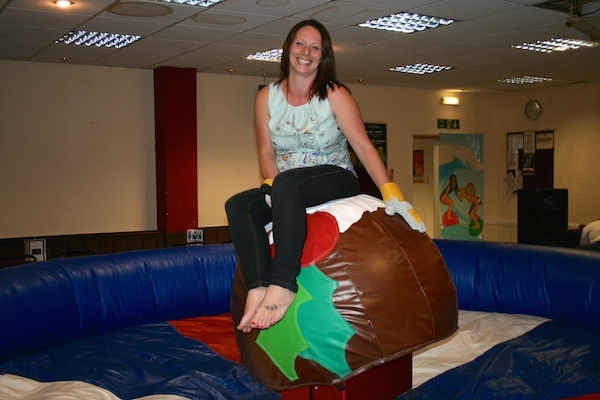 Why not ask about a two ride rodeo event – half the ride time on a Rodeo Reindeer and the other half on a Rodeo Christmas Pud? 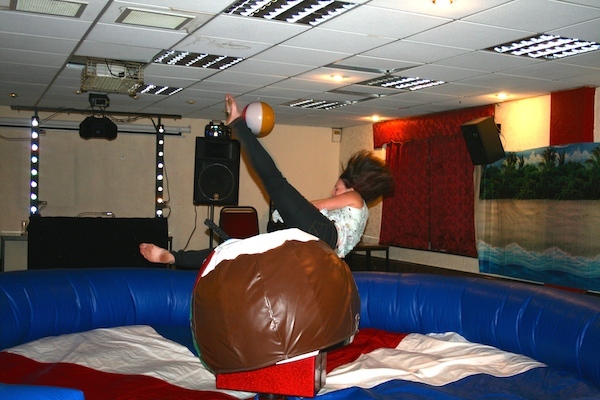 Available with a choice of Christmas themed inflatable bed or red, white and blue inflatable bed. 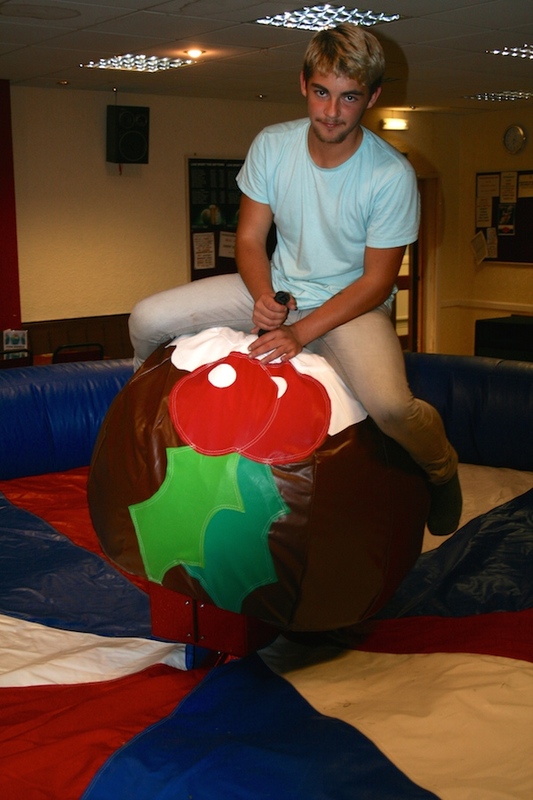 We are able to hire Rodeo Christmas Pud for Christmas parties to all areas of the UK including Evesham, Worcestershire, Gloucestershire, Herefordshire, Warwickshire, Shropshire, West Midlands, Staffordshire, Leicestershire, Oxfordshire, Wiltshire and Somerset.